adidas’ recent string of Ultra Boost re-releases has been a blessing for many Three Stripes collectors. However, they have also left many wondering what else is in store. Take a moment to refresh your brain with the “Gold Medal” 2.0, returning next month. Last month, adidas surprised the sneaker community with a secret restock of the “Multicolor” Ultra Boost 2.0 LTD. While news of several original UB colorways making a return has already been changing hands this year, the reemergence of the 2.0 pattern caught many off guard. Now, it appears that the second installment in the Ultra Boost franchise is going all out, dropping in every seminal colorway from 2016. This week, one of the most legendary 2.0 colorways resurfaced on the adidas website. 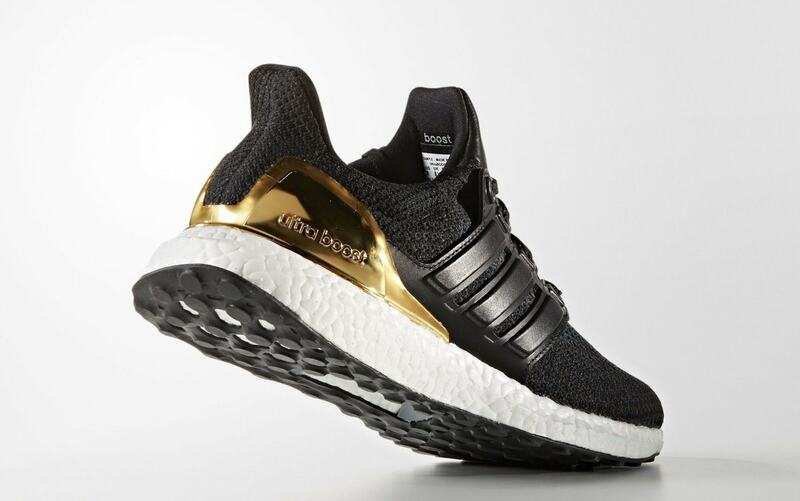 Many will recollect a three-pack of Ultra Boost shoes that were made to celebrate the 2016 Olympics, featuring painted heel counters to show their rank. The “Gold Medal” pair was easily the most popular, signifying the highest possible achievement at the Olympic Games. 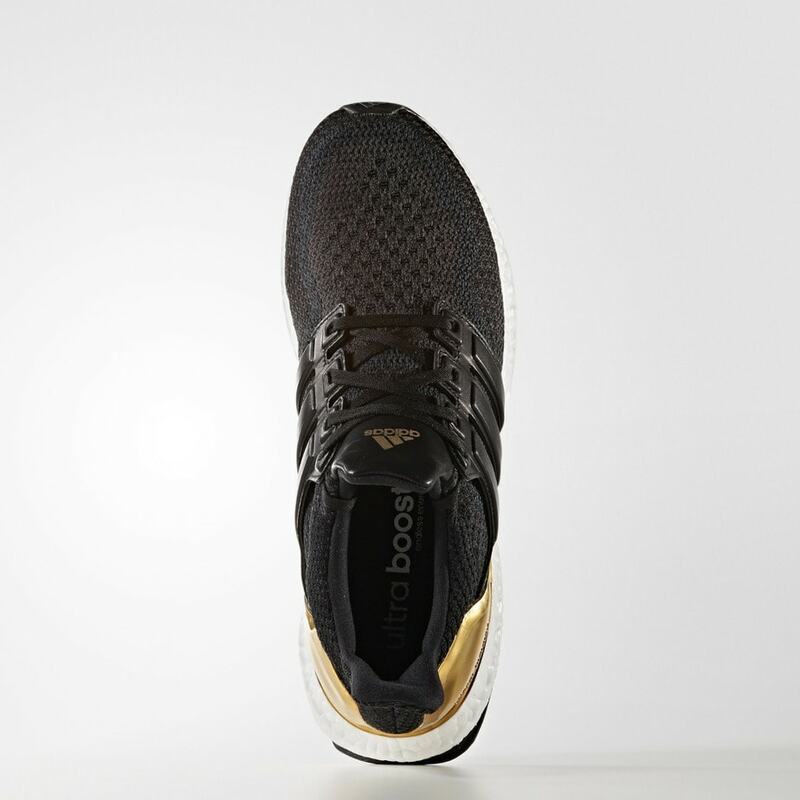 The colorway paints the Ultra Boost entirely in black, save for the shiny heel cup, and uses fine grain leather on the tongue and cages as an added bonus. The latest entries in adidas’ Ultra Boost Unvaulted series have surfaced at atmos Tokyo with a release planned for October 19th, 2018. However, adidas has yet to divulge information on a stateside release, so stay tuned. 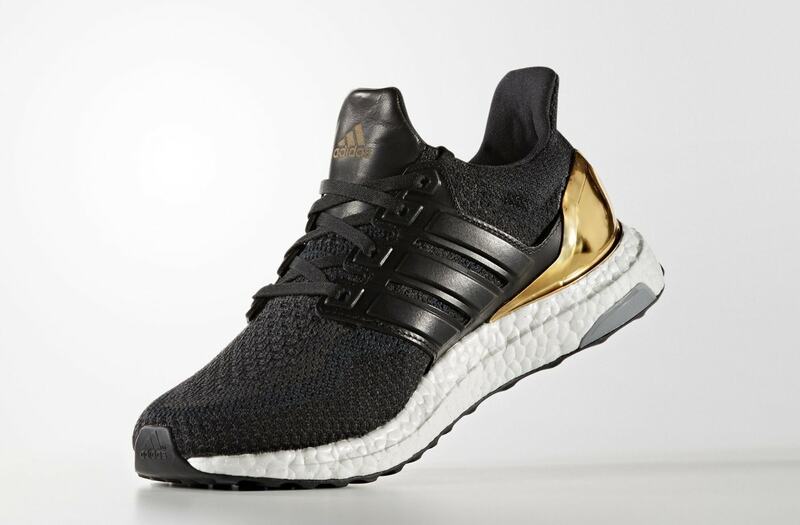 The “Gold Medal” colorway will likely retail for their original $200 price, and drop from a select list of retailers. Check out the old official images below for a better look, and stay tuned to JustFreshKicks for more Ultra Boost release news. 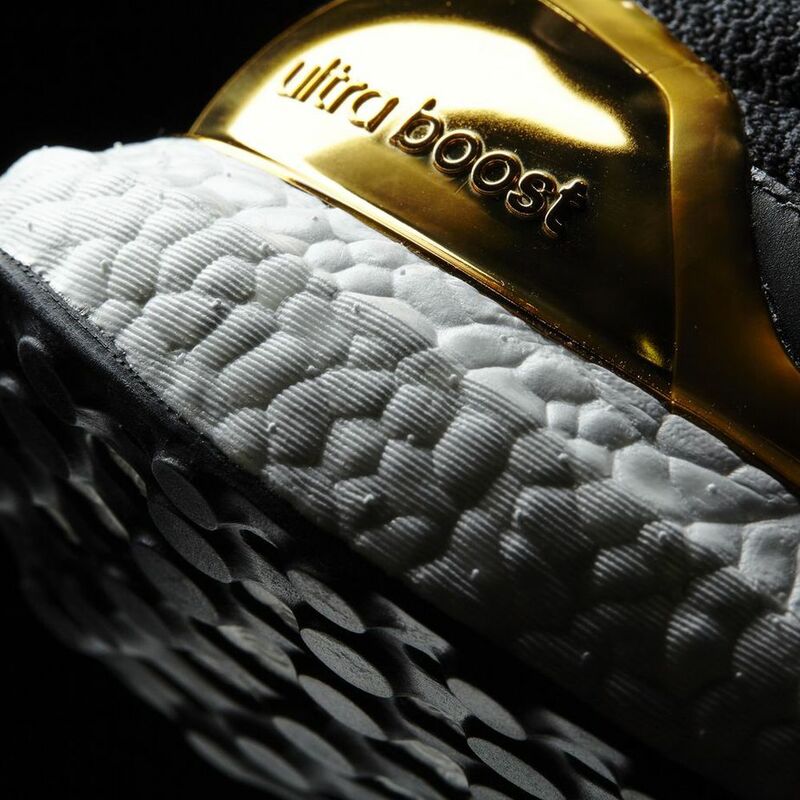 The post The adidas Ultra Boost 2.0 “Gold Medal” Surfaces on the October Release Schedule appeared first on JustFreshKicks.